Back on the Market! 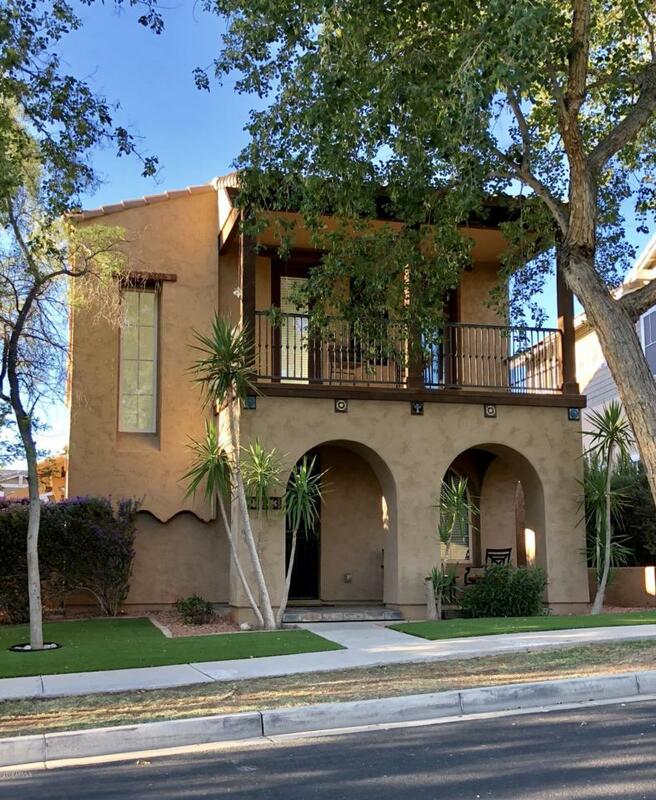 Buyer couldn't qualify!This Main Street District beauty has everything you need to start living the Verrado Lifestyle today! Walk to Bashas, Center on Main, school and local shops. Original owners have taken great care of this Ashton Woods ''Greenbriar'' model. 2089 SQFT 3 bedroom 2.5 bath with FLEX room downstairs that can serve as 4th bedroom, kids lounge, etc. Spacious kitchen with refrigerator included. Lush new carpet awaits upstairs, and 18'' tiles downstairs flow diagonally throughout the first floor. The front yard boasts maintenance free turf, and backyard has a perfectly fit private pool. Drink coffee on the porch or from one of your TWO balconies and enjoy mountain views and lovely shade trees! Washer/Dryer stay with the home.